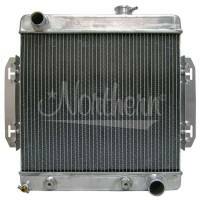 Northern's High Performance products and innovative ideas will eliminate your search of cooling system solutions for their project car or race vehicle. 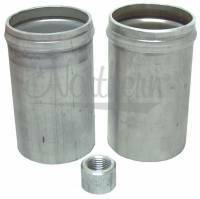 Northern offers customer Radiators that are blank and you weld the connections on your self to meet your application. Pit Stop USA has all of your Street Performance needs including Pontiac Firebird (3rd Gen) Heating and Cooling. Check out the Recently Listed Silicone Adapters/Elbows. Northern HurriCane Engine Driven Fan Shroud - Fits 26" x 19"
Northern's High Performance products and innovative ideas will eliminate your customers search of cooling system solutions for his project car or race vehicle. 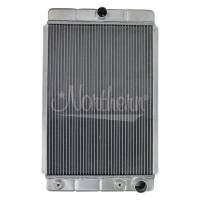 Engineering and manufacturing hundreds of aluminum high performance Northern Radiators in race cars, muscle cars and hot rods. Northern Radiator is a distribution based company, providing high quality heating and cooling products for over 40 years. At Northern, quality is our way of life and a commitment made by every employee to provide the best. Our offices, manufacturing facility, and primary distribution facility are located in Willmar, Minnesota. Fast turn around on all your orders is provided by our primary facility with special orders shipped from any of our 18 regional distribution centers scattered throughout the U.S.
With Northern Radiator you will be assured of superior products, more sophisticated engineering, quick order turn around and better order fill. 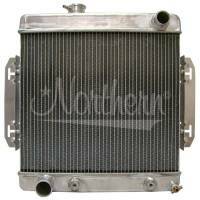 Whether your inventory needs require Automotive, Agricultural, Truck, Industrial or Racing products, your best source is Northern Radiator.